Some, but not most are aware that the ultra-orthodox Sephardic political party Shas controls the Interior Department in Israel. This is the price Benjamin Netanyahu pays to stay in power. His coalition government requires a parliamentary majority (the K’nessset). Shas required this prize. When the Netanyahu decided to dissolve his last government and go to elections almost 4 years ago, I feared that he was going to exchange the Yesh Atid party under Yair Lapide in his last collation for the ultra-orthodox parties in the new coalition. That is just what happened. 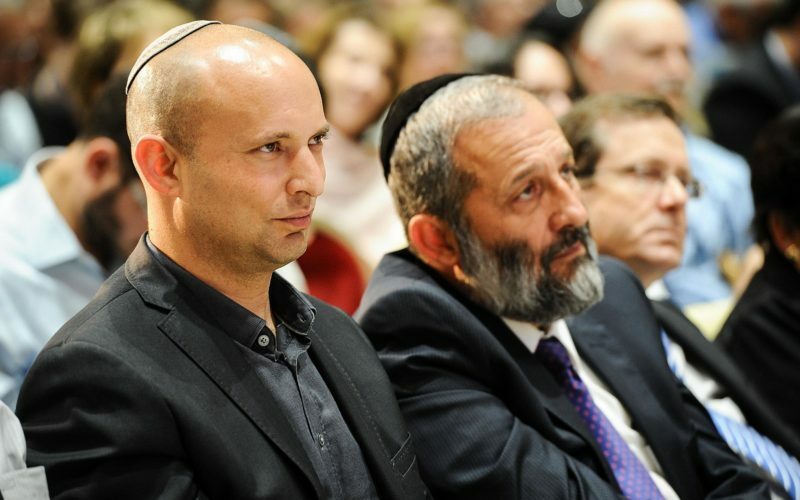 The leader of Shas is convicted felon, Arye Deri who spent a good bit of time in jail. The Interior Department controls immigration into the land, visas-entries and exits, the population registry, citizenship issues and more. There is great injustice form this party, not only against Yeshua followers, but against many others. Here are some examples of gross in justice. The biggest one I see is that they have rejected the immigration of over 7000 Ethiopian Jews who have applied for citizenship and remain in poverty in Ethiopia. Many have relatives here in Israel and want family unification. These are the Falasha Mora who some centuries ago who were baptized under pressure in the Ethiopian Orthodox Church. They maintained a Jewish identity and are desirous of conversion to Judaism. The Israeli parliament has approved this and allocated funds. Yet, they are in limbo? Why? Do to prejudice and maybe even racism in the Shas leaders? The second situation is connected to medical treatment for Palestinians who are not Israeli citizens. One of the great things about Israel is that when there are catastrophic situations of need, Israel will treat them with great care in the hospitals in Israel proper. However, those in the territories need to get permission papers for this. Such permission is granted for Gaza Palestinians as well. However, there is a rule now that if a person in Gaza is sick and needing to come to Israel, Israel will not approve it if they have a relative from Gaza who has moved and is living in the West Bank (Judea-Sumaria). This week the press reported on one who is in danger of losing their sight, but due to a relative in Ramalla they will not give permission. The relative has to move back to Gaza. Yet time is of the essence in this situation. The reason is that the government does not want Gazans to swell the population in the territories. Yet this is draconian and a terrible way to assure this. The third injustice was reported this week. Two teenagers form South America flew to Israel to visit their mother and stepfather. The mother married an Israeli and converted to Judaism. The teen girls live in with the natural father. The Interior Dept. authorities at the airport interrogated them, and then would not let them enter and put them on a plane back to South America. They claimed they were not convinced they would not stay illegally. The mother in Israel protested and got legal help. They were going to take this to court and certainly would have won. The Interior Dept. relented and accepted that they could visit? Would they issue new tickets? No. The vacation period is over and a visit is no longer possible. We regularly hear horror stories of people detained and put back on planes to go home without good reason. The government rescinded policies that would require more of the ultra orthodox to be drafted or do national service and policies that would reduce the number on welfare who refuse to work for a living so as to study Talmud (Don’t call it Torah study. It is not the books of Moses that they mostly study, but the Talmud. After all, how many years all day can you study the Torah. But studying Talmud and Rabbinic law can easily last lifetime). For all these reasons a good number of Yeshua followers will not vote for Benjamin Netanyahu. We like some of his policies, but are having a hard time knowing that a vote for him is a vote for the ultra-orthodox. How would the prophets respond to these injustices? I think it would be a pretty intense response. Founding Director of the Tikkun America network of congregations. Daniel has served in the Messianic Jewish movement since 1972.